Why See The Wonder Years? 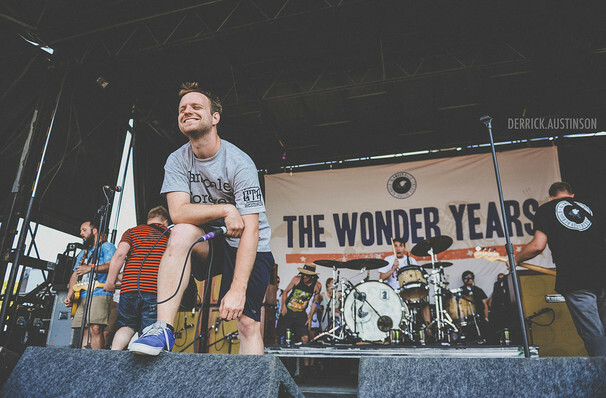 Philly pop-punk band The Wonder Years have been at the forefront of the genre since their conception in 2005. Now with six studio albums under their belt, the six-piece head out on a North American tour in support of their latest release, Sister Cities. 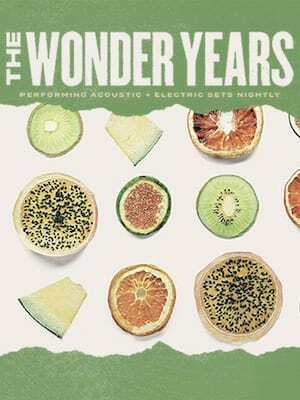 Always an electrifying live show, The Wonder Years are joined on these dates by an impressive handful of supporting artists, including Tigers Jaw, Tiny Moving Parts and Worriers. Seen The Wonder Years? Loved it? Hated it? Help your fellow New Orleans Theater visitors by leaving the first review! Sound good to you? Share this page on social media and let your friends know about The Wonder Years at House of Blues. Please note: The term House of Blues and/or The Wonder Years as well as all associated graphics, logos, and/or other trademarks, tradenames or copyrights are the property of the House of Blues and/or The Wonder Years and are used herein for factual descriptive purposes only. We are in no way associated with or authorized by the House of Blues and/or The Wonder Years and neither that entity nor any of its affiliates have licensed or endorsed us to sell tickets, goods and or services in conjunction with their events.